Something is cooking at the United Nations Geneva. 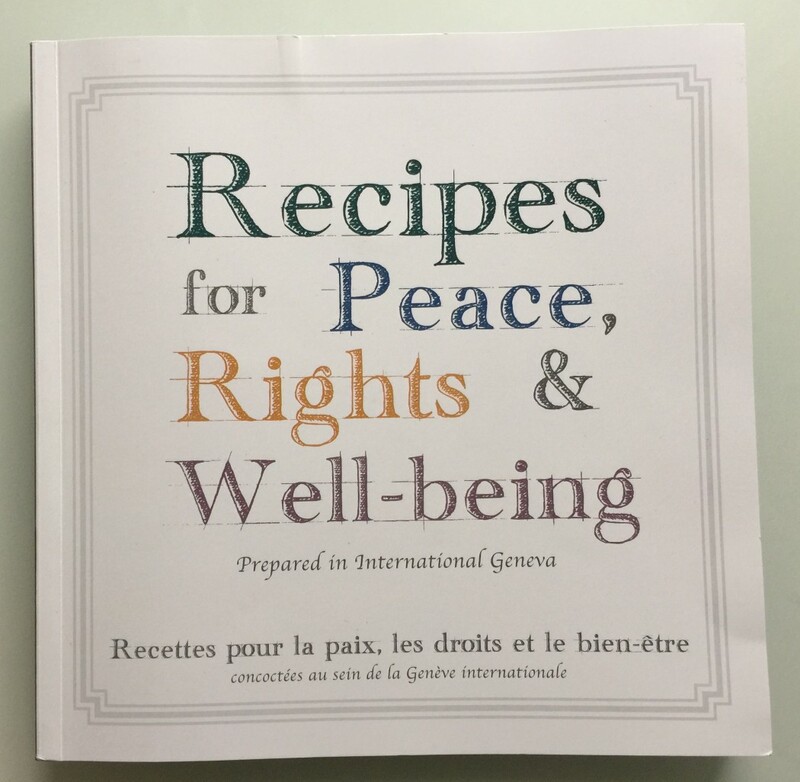 The United Nations in Geneva, Switzerland has recently published a unique cookbook, Recipes for Peace, Rights and Well-being, which shares the secrets of many “recipes” for its peace and humanitarian initiatives that have changed the world, combined with superb recipes from some of Geneva’s most celebrated chefs. The cookbook is part of the International Geneva Perception Change project, which was launched in 2014 to highlight the impact of the work done by all of the UN and international organizations, NGO’s and other institutions based in Geneva. On a recent visit to the UN, I met with Corinne Momal-Vanian, Director of Information Service and Spokesperson for the United Nations Geneva Office, to learn more about the UN’s initiatives. The cookbook was hot off the press. Considering Geneva is the world’s capital of peace and is also renowned for its international cuisine, and some of its chefs are known around the world, this is a beautiful blend of some of the things that makes Geneva so special. The cookbook is written in both English and French languages, is intellectually stimulating, thought-provoking, practical, and is filled with beautiful photography depicting the organizations and their work, and the city of Geneva. At the same time, it provides delicious recipes you can make in your kitchen. As for the food, each contributing chef provides a menu of recipes for a starter, main course and dessert. The dishes range from soufflés, to Masaledar lamb chops, to squash ravioli to frogs legs — and irresistible desserts. 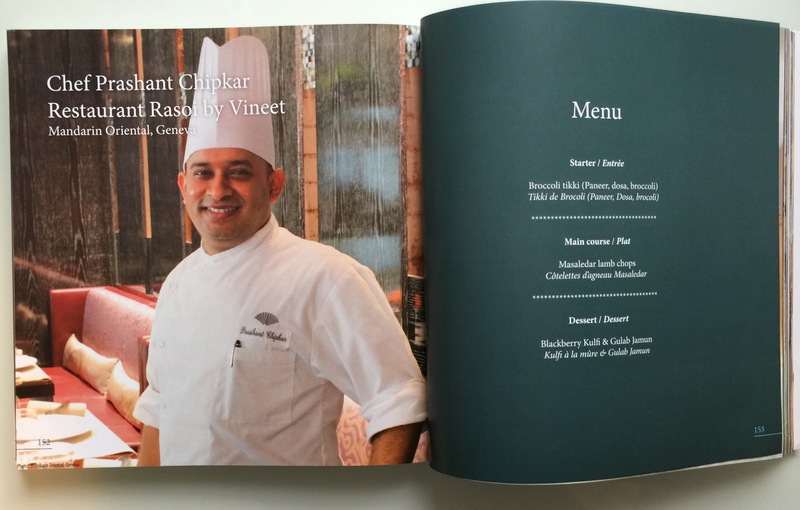 The recipes are provided by many Geneva establishments including: Chef Saverio Sbaragli, Four Seasons Hotel des Bergues; Chef Salvatore Marcello, the Grand Hotel Kempinski; Chef Gianluca Re Fraschini, InterContinental Hotel; Beatrice Tollman, Hotel d’Anglettere; and Chef Prashant Chipkar from one of my favourite restaurants, Rasoi by Vineet (gourmet Indian) at the Mandarin Oriental, Geneva – among others. The catch? Many of the “special” ingredients used in these recipes can only be found in Geneva, though the recipes can be replicated anywhere in the world. For more information, contact perceptionchange@unog.ch. Visit the UN’s website at www.unog.ch. For information about Geneva, visit Geneva Tourism and Switzerland Tourism.